Posted July 22nd, 2013 by alexa & filed under Weddings. 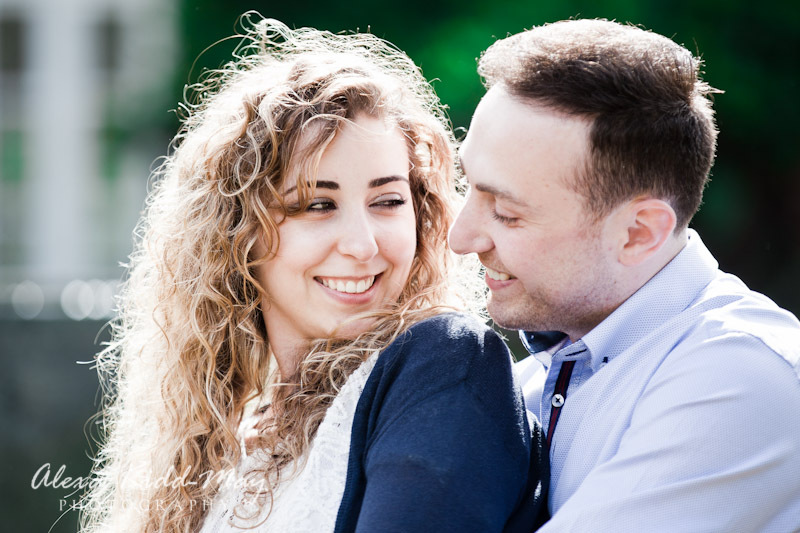 Katrina and Hovhannes are getting married in St Yeghiche Church in South Kensington, London. The ceremony will be followed by a reception in the fantastic Wokefield Park, Reading. 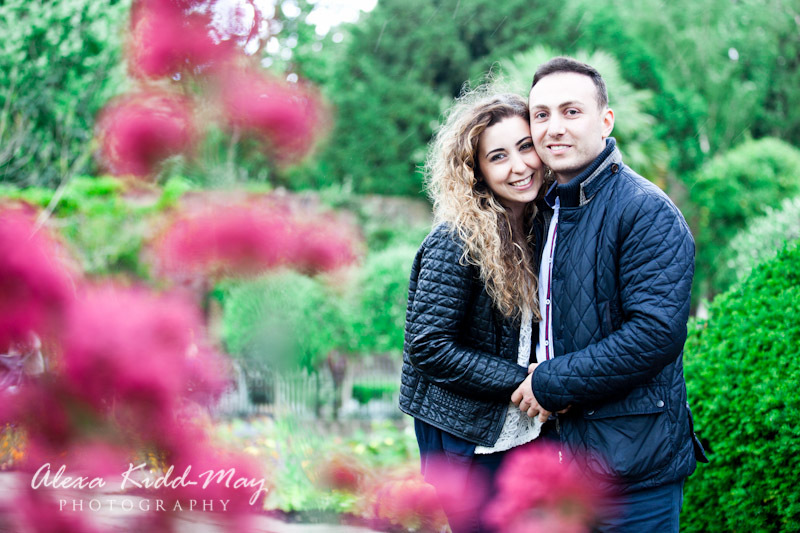 They chose Holland Park, London for their engagement photography session, as it’s a special location for them. I was really looking forward to meeting them there, as it’s an area I’m quite familiar with. 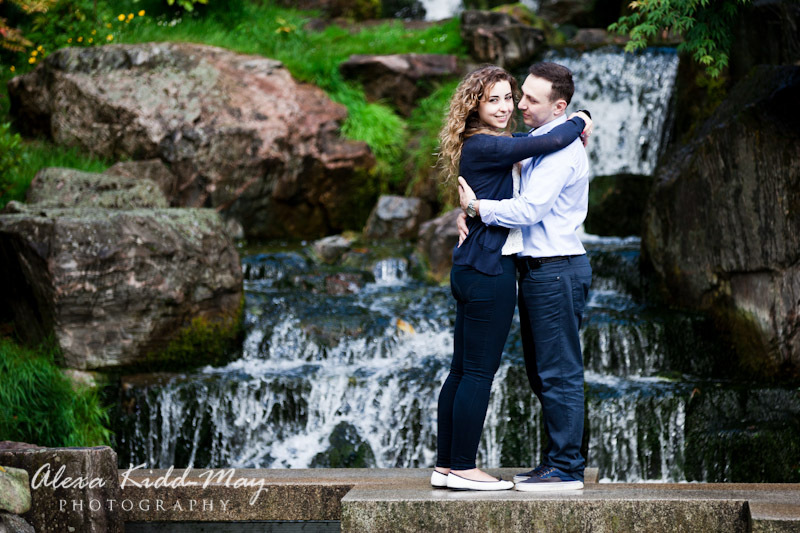 I’ve visited the park quite a few times before for family photography sessions. 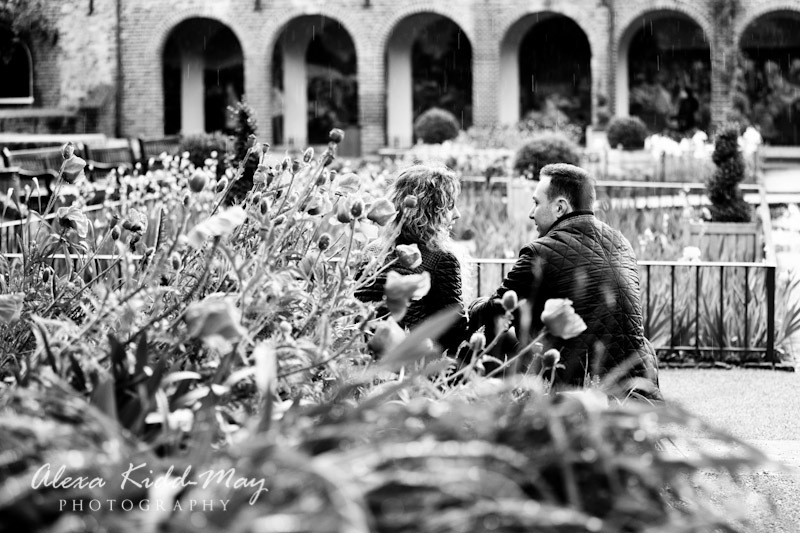 We arrived, however, to torrential rain, so took shelter and had a chat about their wedding plans. After a short while we got lucky when some glorious late afternoon sunshine broke through the clouds. 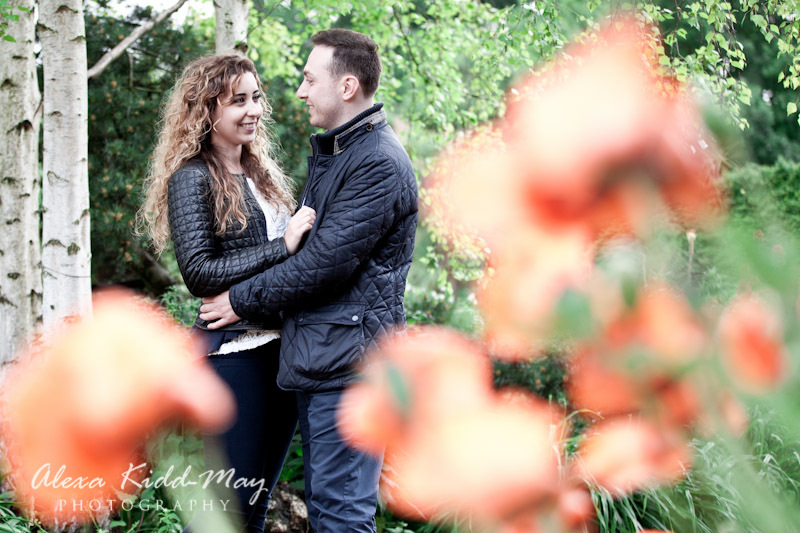 This enabled us to capture some lovely romantic shots in one of the most beautiful parks in London. 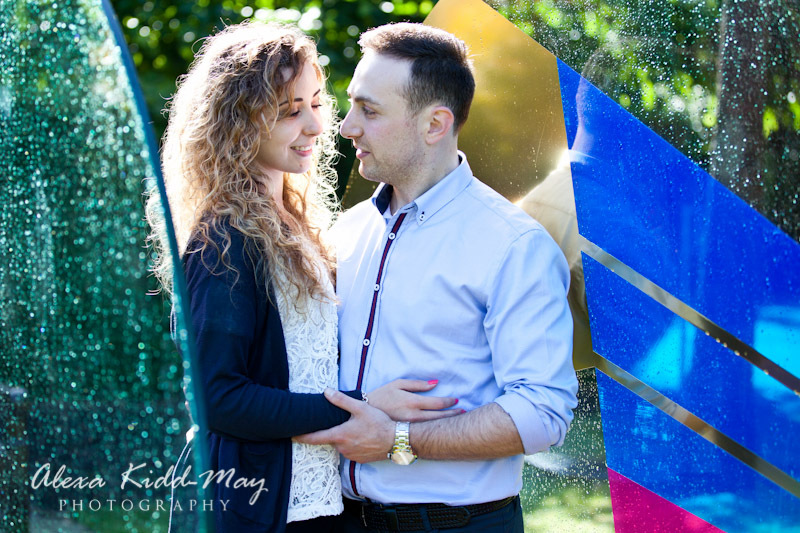 One of my favourite images from this engagement photography session is the first one in the blog. 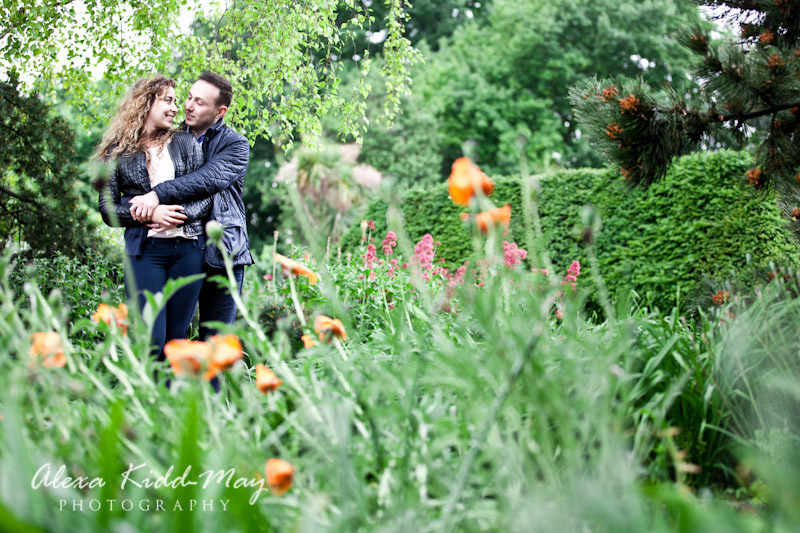 Holland Park has lots of areas to it – all lovely in different ways. 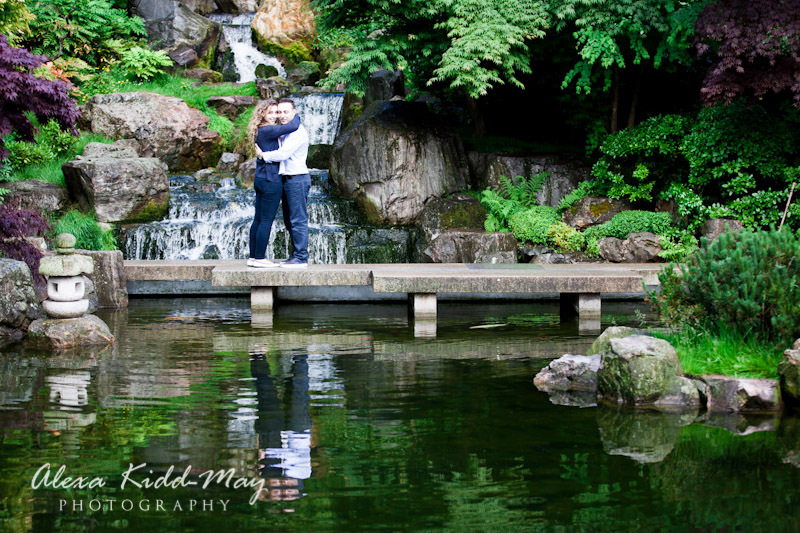 But one of the most stunning parts for me is the Kyoto Garden, with the fish pond and waterfall. I just knew it would make a lovely backdrop for Katrina and Hovhannes. So I just asked them to stand there arm in arm and took this shot of them. I feel it works so well with their reflection in the water too. I was already looking forward to their wedding, which I think is going to be stunning. 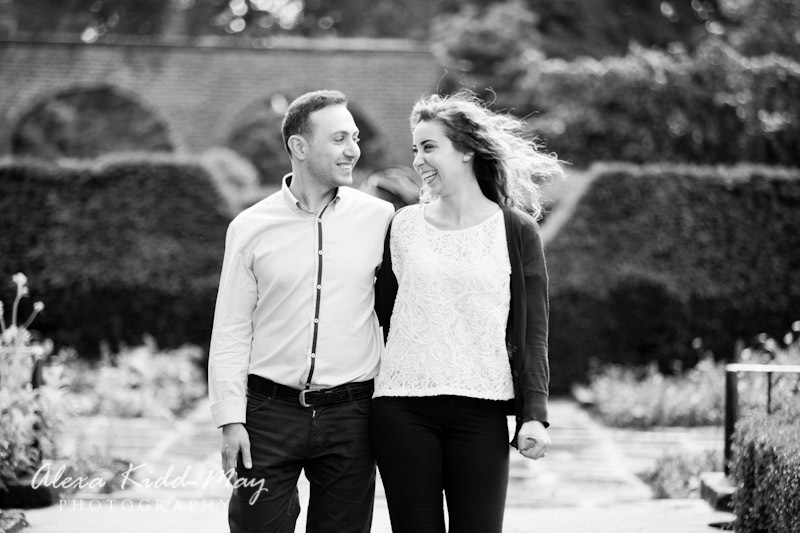 But now I’ve spent some time with this lovely relaxed couple I simply can’t wait! 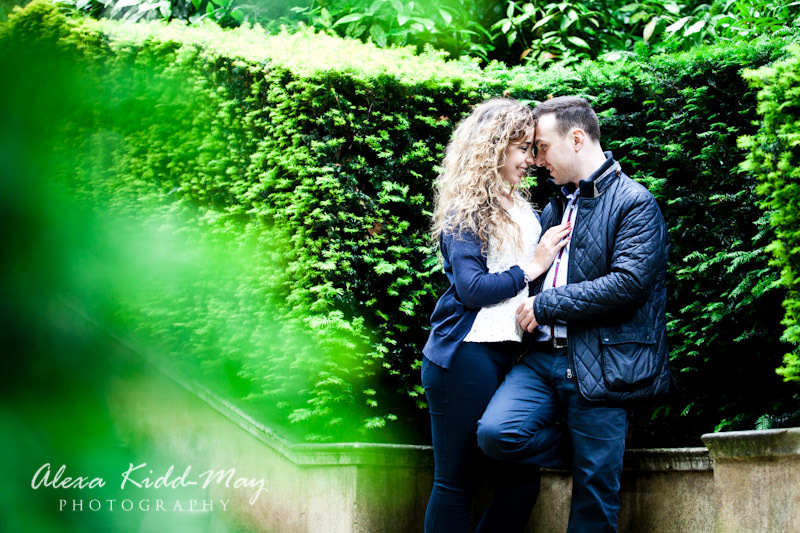 If you’re interested in a family or engagement photography session in Holland Park please get in touch on hello@alexakidd-may.com or 07813 816335.